Why I think Barry’s pants are on fire | thetelegraph.com.au. REMEMBER the last state election campaign? The one where Barry O’Farrell and Mike Baird told us all about the big new tax they were going to introduce on households so the government could afford to remove a current levy on insurance companies? You must know the one I’m talking about – the $300 annual levy to fund our firefighting service? Perhaps I have developed early-onset amnesia, but I simply cannot recall any discussion of a fire tax. Yet surely something as substantial as this would have been discussed before the election. Right? I have no doubt I was among thousands who were stunned on Monday morning to hear Jim Casey from the Fire Brigade Employees Union debating the Treasurer on radio about this $300 levy. If you haven’t caught up with this issue and, let’s face it, the state government has hardly been forthcoming, here are the basics. At the moment, about three-quarters of the funding for Fire and Rescue NSW comes from a levy on insurance companies, with the remainder split between the state government and local councils. Why does the system levy insurance companies? Because they directly benefit from a well-resourced and highly responsive fire brigade. 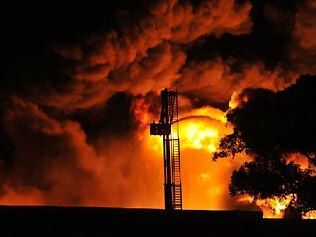 Every time firefighters stop a building burning down, insurers save a bucketload because they don’t have to pay out a claim. It is truly a “user pays” system. But the government is about to scrap the levy on insurance companies and apply a new tax on households. In two weeks, public submissions close on a NSW government discussion paper that recommends a property-based levy as “the best alternative”. The discussion paper calls for a new tax on landowners of $1.07 for every $1000 of land value. The median land value in Sydney is about $280,000, so if your property is median value, you’ll face a new annual bill of at least $300 a year. We are about to see a colossal cost shift from insurance companies to households. Insurers stand to gain a whopping $700 million a year. When I heard about this new tax I decided to do a little bit of research on the history of how we fund fire protection. It turns out that the insurance companies actually established fire brigades precisely because they delivered them such massive cost savings. In the early days, the insurance brigades would arrive at a burning home and only battle the blaze if the house had an insurance plaque. By 1884, there was a mixture of insurance brigades and volunteer brigades, but the system was unwieldy, and so the Metropolitan Fire Brigade was created. But for decades the insurance companies continued to run salvage brigades alongside the professional firefighting services, to prevent as much property damage as possible. What all this shows is that the insurers clearly have a vested interest in a properly run fire service. Yet now, with a sympathetic government installed in Macquarie St, they are trying to wriggle off the hook for funding the very service they established and continue to benefit handsomely from. The O’Farrell government’s argument is that the present system means those who are insured subsidise those who are uninsured, therefore a property levy is fairer. However, to hold true this argument depends on a single mighty assumption: that the insurance companies plan to pass their $700 million windfall on to policy-holders. Anyone keen to take that bet? Mike Baird is a smart guy. He was previously an investment banker. He knows that insurance companies have a legal obligation to their shareholders, not their customers. They will find any way they can to pocket that $700 million. Surely he understands this? And that means a strange pattern is starting to form. Because, while this O’Farrell government has been losing a diverse range of friends at a rapid rate, it has made some lifelong mates in one area: the insurance industry. The fire tax is actually the second time this year that insurance companies have scored handsomely from changes to NSW legislation. Until June, NSW workers were covered if they got injured on the way to and from work. They were also covered for heart attacks and strokes suffered at work and had ongoing coverage for medical costs. That has been removed by the O’Farrell government – and it is much harder to prove employer negligence for workplace injuries. It’s worth finding out who does the lobbying for the insurance industry, because they have been spectacularly successful under this state government. First, deep cuts to workers’ compensation, now a $700 million cost shift to NSW families. When it comes to accusations of using government to redistribute wealth, it is traditionally the Australian Labor Party that stands accused. Yet Barry O’Farrell is now shaping as the greatest wealth re-distributor since Gough Whitlam. The difference, of course, is that he’s shifting the money to those who need it the least.